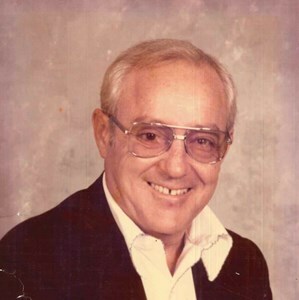 Newcomer Family Obituaries - Walter E. 'Bud' Kelb 1927 - 2019 - Newcomer Cremations, Funerals & Receptions. Walter E. "Bud" Kelb, age 91, of Erie, MI, passed away on Monday, February 4, 2019 at Sunset Village in Sylvania. He was born on August 7, 1927 to Walter D. and Myrtle (Dorr) Kelb in Toledo, Ohio. Bud worked for Owens Corning for over 30 years as a supervisor where he enjoyed the work and made many friends. Left to cherish his memory is his loving wife of 63 years, Evelyn A. (Tasnadi) Kelb; beloved dog, Bonnie; many special nieces and nephews. In addition to his parents he was preceded in death by siblings, Margie and Lowell. The family will receive guests on Saturday, February 9, 2019 from 4-6:00 p.m. at Newcomer Funeral Home - Northwest Chapel, 4150 W. Laskey Rd. (419-473-0300) with his Memorial Service starting at 6:00 p.m. in the funeral home. Memorial Contributions may be made to a local charity of the donor's choice. Add your memories to the guest book of Walter Kelb. Remembering back in the 1950's when Bud bought a 1955 Thunderbird for his beloved Evelyn. I helped my Uncle Ed (Tasnadi) repaint the car. Bud and Evelyn were so happy. Nice memory! Rest in peace Uncle Bud. I will always cherish my memories of you. From catching my "rare" fish, to ordering beer under age, just to name a few. You were a wonderful man and uncle who will be missed. Our deepest sympathy to the Kelb family. Some of our fondest memories of the past were times spent with Bud and Evelyn. Rest peacefully uncle Bud. I’ll make sure aunt Eve is ok. I’ll always remember your sense of humor, you were always fun to be around. I’ll miss you.